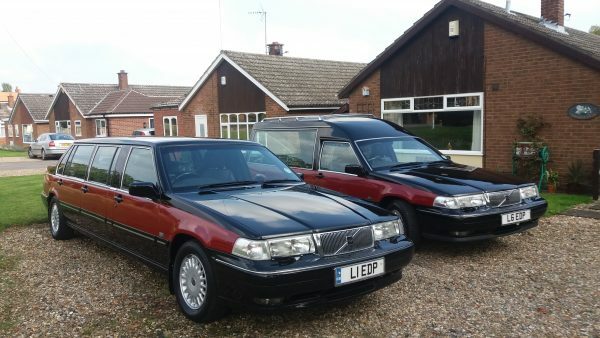 We have now added to our fleet of Vintage Vehicles a Volvo Hearse and Limousine. 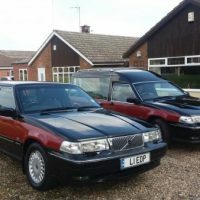 These are available to hire to any Funeral Director complete with driver. 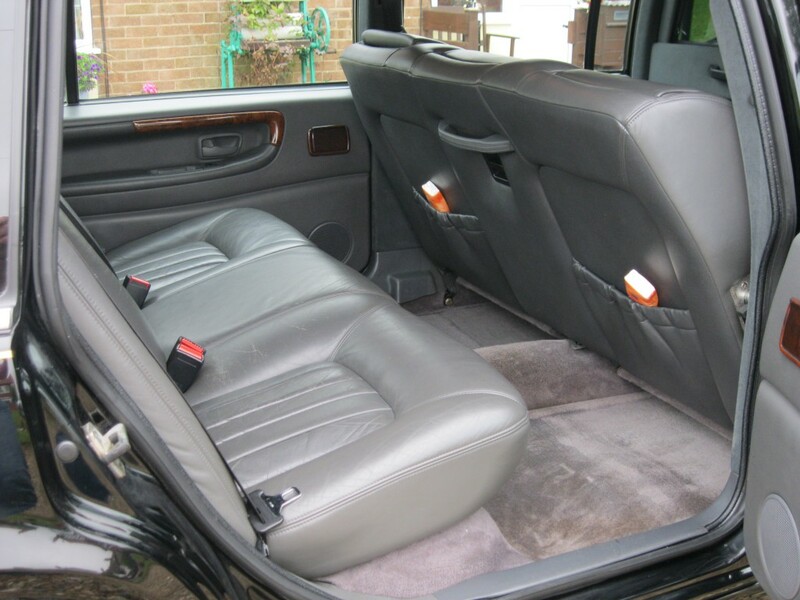 In most cases Graham will drive and will also bear in the hire price should you require him to. 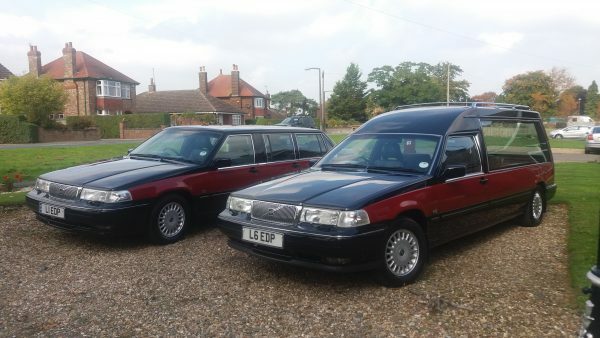 Graham has worked part time in the Funeral business for many years. We are currently working alongside Mark at Special Send Offs in Scarborough, but are still available to anybody else wishing to use our services. 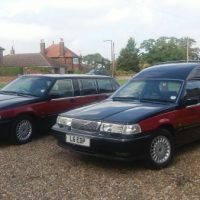 As things change and funerals are not always about black with mourners now sometimes being requested to wear bright colours and services a celebration of life, we have updated our funeral vehicles to black and red to be a little bit different. 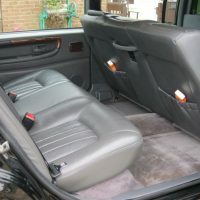 Please telephone for details and prices. We can now also offer the motorcycle enthusiast the chance to depart in style with our classic motorcycle & converted sidecar chassis. 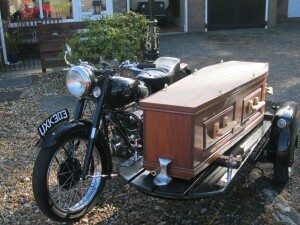 The 1957 Sunbeam S8 500cc with its origianl sidecar removed and a flat platform fixed, is able to have a coffin securely attached to it. 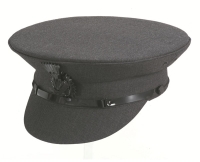 Graham, who also works part-time for a local funeral directors, will provide you with a courteous sympathetic service.